Ransomware is a threat that has been growing steadily for the past two decades, evolving from a mail scam conducted from a P.O. box in Panama to an advanced cyber threat that is so common, it has become a major concern for individuals, governments, and businesses across every sector around the globe. The number of ransomware attacks quadrupled from 2015 to 2016, and researchers believe that this number will double during 2017. In addition to the threat itself growing daily, the way in which ransomware affects its victims has evolved as well; whereas it used to be that the only consequences of an attack were online, there are now real-life, physical threats as a result of ransomware; there are two recent instances that are of considerable note. In early January of this year, four-star Austrian Hotel, Romantik Seehotel Jägerwirt, was infected with a ransomware attack that hit the hotel’s computer that was managing multiple systems including its reservation system, cash desk system, and most notably, the electronic key locking system. The potential danger from hijacking this major system is guest safety; guests’ keys were not functional, meaning that they could have potentially been locked in or out of their rooms. Thankfully, fire code regulations globally mandate that electronic key locks open manually from the inside, so this threat was never realized. However, the hotel was unable to issue new room keys after the cyber attack, causing incoming guests to have to relocate to another hotel. This instance has been eye-opening for the hotel’s owner, who has since decided to switch back to ‘classic locks’ from the complex, modern ‘smart locks.’ Though this will not prevent further attack, it will prevent the new key card issuance problem from happening in the future. Whereas this particular attack primarily impacted the business’s operations, an even more recent attack on the U.S. capital had potentially deadly consequences for the public. One week before the 2017 Presidential Inauguration of 45th President of the United States, Donald Trump, there was a ransomware attack on 66% of Washington, D.C. security surveillance cameras. Though the Metropolitan Police Department never saw any indication of a serious threat to the public, there was much concern over the attack. The infection lasted three days, keeping police from retrieving any surveillance footage during that time. This means that any activity that took place over this time span could not be reviewed if there was a security threat suspected. With events such as the Inauguration and the Marches for multiple causes in the days following, any actor with malicious intentions could have hidden something or done something that would have caused harm to those millions of people. National or global events often draw in much attention, including cyber crime and terrorism; a tech-savvy attacker could have hijacked the specific cameras that he/she did, in order to make it easier for an attack to take place. Not only this, but general public safety, regardless of upcoming events, was put in jeopardy by such a significant number of security cameras being out of working order. This cyber threat was not only advanced in that it could have had potentially dangerous physical repercussions, but it also followed the modern trend of using IoT devices to deliver an attack. In the past few months, hackers have used Internet-connected devices such as digital cameras and DVR players to carry out DDoS attacks, and they have obviously evolved to be used in ransomware attacks. Though thankfully neither of these two cases experienced the potentially dangerous, real-life threats they could have, lack of cyber defenses left people with serious digital and physical risk. Because of this, precautions must be taken in order to protect against similar attacks in the future which may have different and deadly outcomes. Educate employees– Computers involved in ransomware attacks are usually infected because of employees clicking on malicious phishing emails from hackers. Though neither of the cases above have discovered exactly how their systems were infected, 91% of cyber attacks are caused initially by a phishing email. Teach employees how to recognize these emails in order to prevent ransomware from coming into your company in this way. Have a recovery plan– The biggest issue for the Austrian hotel was that they had no clue what they would do if something like what occurred with their electronic key lock system happened. Having a backup plan is one of the key aspects of cybersecurity, as it is almost impossible to avoid every single threat that is out there. The phrase ‘expect the unexpected’ comes to mind in this case, where companies need a way to continue their major operations, even in the event of something like an unexpected cyber attack. Secure your IoT devices– Cameras in Washington, D.C. were not properly secured from attack, similar to the way digital cameras and DVR players were left unsecured and then consequently used in recent DDoS attacks. Prevent your smart devices from getting infected by ransomware by turning off remote access to devices when not in use, changing device default usernames/passwords, and keeping an updated system. Ransomware is a type of malicious software designed to block access to a computer system until a sum of money, or ransom, is paid. Though now primarily known by this definition as a cybercrime, ransomware has been around since before the internet gained its popularity. The first instance of the threat occurring in 1989 was actually via postal mail and it was known as AIDs Trojan. This original variant spread via floppy disks and involved sending $189 to a post office box in Panama as payment for the ransom. Since then, the threat has grown drastically with the flourishing of the internet, not only in its complexity but in its reach as well. Ransomware has attacked millions of victims across a multitude of industries with education, healthcare, and government among some of the most highly targeted sectors. Instances of the cyber-threat have increased by over 53% in the past 12 months, with projections set to rise even more significantly by the end of 2016. Not only have ransomware scam artists been able to infect millions of people’s computers and hold their files for ransom, often after encrypting them, but they have made a lot of money doing so. Last year alone, the cyber threat brought in upwards of $325 million for cybercriminals, and it appears as though their paydays are growing in number and in ransom amount paid. Evolving from the checks sent to that P.O. box in Panama to difficult-to-trace bitcoin transactions that are so predominant in ransomware today, the threat and its multiple different creators are getting harder and harder to stop. Throughout the years, there have been varying opinions on how to handle this cyber-crime. Of course you don’t want to fund cybercriminals’ vacations by paying the ransom, but you also need to regain access to your precious files that mean so much to your business. What do you do in this case? Well the FBI has come out with a clear stance on what they think needs to be done in order to stop, or at least slow down, ransomware in its tracks. While the FBI is eager to receive all of these reports in an attempt to stop the cyber-crime, in its September 15th PSA, the FBI also stresses the importance of strong cyber-defenses in order to avoid the threat in the first place. A few common key elements to this security include the installation of a secure firewall and regularly backing up data. If you find that you are the victim of ransomware, please contact the FBI immediately and provide them with as much of the information above as possible. If you would like to prepare your defenses against such an attack, please contact Axiom Cyber Solutions to learn more about how to get and stay protected. Our patented ransomware algorithm and team of managed cybersecurity experts will make sure you and your business are taken care of. “Ransomware attacks are increasing dramatically.” As threats from cyber-criminals become part of the reality of doing business, that statement is becoming all too familiar and personal for small businesses. By the end of this year, it’s projected that ransomware attacks alone will net cyber-criminals more than $1 billion made possible in part because small businesses are easy targets and have little option other than to pay ransoms or risk closing their doors. So you probably know that a “ransomware attack” is used to extort money from you by literally holding your data and computer systems hostage. But, what does this attack look like and what can you do to defend your business from them? 1) Though ransomware attacks can be initiated by visiting an infected website, most businesses will find that attacks are going to be launched on them through an increase of emails which contain attachments. The messages usually evoke a sense of urgency to open the attachment (such as with an unpaid invoice, a “Final Notice,” or a package delivery notification). The file may appear to be just a Word document or PDF file. 2) After clicking on the attachment, the user is prompted to “enable content” or possibly decompress a zip file. Once that message is clicked on, the malware is activated and released into your system. 3) Depending on the file type, an icon may appear on your desktop, but only for a brief time before disappearing. It is at this point the malware sends a message to a computer system outside of your network for an encryption key to use on your computer system. 4) Once that key is communicated back, the ransomware begins encrypting your files and programs. Since encryption is a time consuming and resource intensive process you may notice that your computer system slows down or starts acting “quirky.” However, you may not notice any outward sign of infection. 5) Depending on the amount of information being encrypted it could take several hours for all files on your computers and attached or networked drives to be encrypted. So just because it doesn’t happen quickly doesn’t mean you have nothing to worry about. 6) While all of this is happening, you may notice that you are still able to access some files, but other files are not accessible. File names will change. You may receive messages that the “file is corrupt” or has an “unknown extension.” Ultimately, files you had been able to access become inaccessible. Depending on the attack, entire programs may become unusable. 7) Finally, the background on your screen will change and a message will display explaining that your files have been encrypted along with a demand that you must pay within a set amount of time or else your data will be lost. These demands are usually for payment in the form of Bitcoin (which is a process of and by itself that most Americans are not familiar with). 8) Once the ransom is paid, the victim is supposed to receive an alpha-numeric key for decrypting the files. However, because these hackers are criminals, there is no real guarantee that a key will be sent, or if one is, that they won’t simply attack again later. It isn’t unusual that a victim is repeatedly attacked once they have proven they are easy targets and willing to pay. Because these hackers are criminals, there is no real guarantee that a key will be sent, or if one is, that they won’t simply attack again later. Be sure your employees understand the threats posed and tactics used by these criminals. Reinforce the need to be cautious when clicking on attachments in emails from people whom they are not expecting anything. Help them recognize that emails that use urgency as a tactic to get them to open attachments are suspect. And attachments that require an additional step of “unzipping” or “enabling content” need to be scrutinized carefully before doing so. It’s crucial to invest in the right kind of security solutions like a robust next generation firewall so that ransomware doesn’t infiltrate systems to begin with and cause irreparable damage. If you are using an older firewall or one that isn’t updated daily, you are leaving yourself open to attacks. Also, be sure you are using powerful and updated virus and malware scanning software. Always, always, always keep your operating systems and software updated with the most recent patches and hotfixes. Have a good backup strategy, which includes monitoring your backup status and testing your restore process to ensure that restored files are usable. A backup process without testing may not be worth much. Take this threat seriously! It’s real and it’s growing. If you have been a victim of a ransomware attack, Axiom Cyber Solutions may be able to help. Give us a call at 800-519-5070, or drop me an email (without any attachments – we won’t open them) at info@axiomcyber.com. 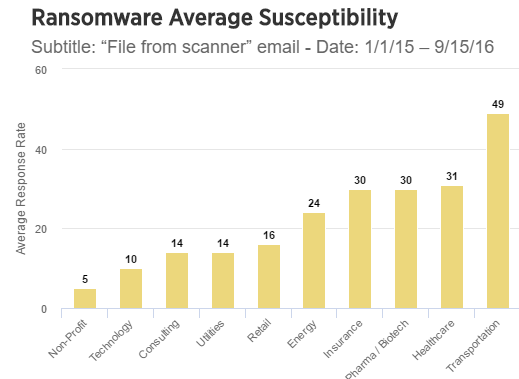 Ransomware is the biggest emerging cyber threat for 2016. Get protected now before it’s too late. Ransomware has become a household word recently. With the attacks on American Healthcare facilities, large school districts and America’s core businesses, we have all unfortunately learned that ransomware is dangerous and lucrative to the criminals. These hackers are gaining millions of dollars every month from locking up unsuspecting victim’s files. Just today, in a group that I am a member of on LinkedIn, there was a post looking for help after files had been encrypted. Once the files are encrypted IT IS TOO LATE. Even the FBI has said that the SHA-256 encryption is too good to crack and that you should pay to get your files back. Businesses must act BEFORE an infection. This is a definite case of “preparation is key”. I talk to more than 3 businesses each week that have been affected. They all didn’t believe they were a target for hackers. They all say the same thing “I didn’t think this could happen to me.” Most are small business owners who generally have a false sense of security or have taken the “head in the sand” approach. There are three key things you can do to protect yourself from Ransomware. I recommend you act today to implement these three key strategies. Backups. This is kryptonite to the ransomware epidemic. If a business has up to date backups of their data, there is no need to pay to get it unlocked. A simple restore from the latest backup will have your files back in working condition in no time. The drawback is: When was your last backup? Is it an hour, a day or longer? You can only recover to the latest backup so make sure you are running them on a schedule that makes sense for your business model. You must also ensure that the ransomware is completely removed from enterprise systems and every endpoint. Just like a virus, it spreads polymorphically (changing and evolving) across the network infecting as many machines as it can. You have to have a removal strategy once infected. This includes segmenting affected computers, running in-depth malware, virus and rootkit scans to ensure the infection won’t come back. Antivirus. You must have up to date antivirus running on every endpoint in the enterprise. From the point of sale system to back of house, every PC, Mac, server, and storage device must be running up-to-date antivirus. It is a good idea to have an antivirus monitor that tells you when machines are out of date or are not updating appropriately. There are some inexpensive antivirus monitoring tools out there that allow you to inventory your devices and also alert you to antivirus status. The drawback to antivirus protection against ransomware is that hackers are changing their algorithms every day to get around antivirus. Antivirus is signature based and it compares each file with known malware, viruses and ransomware. If you are unlucky enough to get a new variant, such as Locky, that is polymorphic or that is not known to your antivirus client, it still gets through. Due to the millions of infections each month, it is safe to say that not all antivirus is keeping up. With that being said, having up to date antivirus across the enterprise is one of the cornerstones of a solid cybersecurity strategy. Firewall Protection. Firewalls are much different from antivirus because they inspect all traffic coming into the business. Depending on the firewall brand, such as Axiom, the firewall will have deep packet inspection and some other key features that will scan packets for threats. 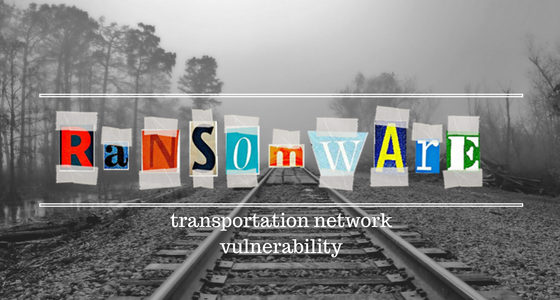 One thing at Axiom that we have found is the specific protocol level communication that happens when a ransomware is activated on your network. Ransomware must obtain a Private Key to complete the encryption process. 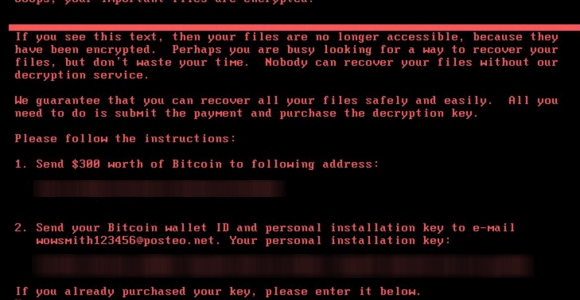 Without the private key, ransomware simply doesn’t work. We have been able to identify that exact communication and we block it at the firewall. By doing egress monitoring (which is doing deep packet inspection on traffic leaving the business) we can empirically stop ransomware from encrypting your files. All of Axiom’s firewalls do egress monitoring, deep packet inspection, SSL DPI, and many other enterprise features. Our business model allows us to send out a fully configured firewall for your business. It is plug and play to install, such as plugging in a wireless router. We then manage it, monitor it and keep you up to date every single day with the new emerging threat definitions. There is no upfront cost for the device, just a monthly subscription for the monitoring and updating. You can save thousands over the cost of other firewalls, installation, configuration and maintenance from our competitors. Most small businesses can’t afford a full-time IT staff, much less a cybersecurity expert on staff to keep the business protected. Call us today for a free consultation that is specific for your business. Our cybersecurity experts research the latest emerging threats and we update our firewalls each day to keep our clients on the cutting edge of protection. Our firewalls are unique in the fact that they don’t have to be restarted to be updated. Our firewalls are one of small group of security appliances that inspect traffic in both directions, going into and leaving the business. While ransomware is the new buzz word in cybersecurity, would you believe it that ransomware has been in existence since the 1980’s? The first known ransomware occurred when a man named Dr. Popp sent Trojan-infected diskettes to attendees of the World Health Organization conference and demanded the payment of $189 be sent to a PO Box in Panama. Of course, Dr. Popp was caught and brought to trial…later being declared unfit to stand trial due to the cardboard box he wore to protect himself from radiation. Ransomware became more mainstream through the years as cyber-criminals realized that it’s easy to monetize and spread ransomware by sending infected email attachments that would encrypt the victims files. But it wasn’t until Q1 of 2015 that cyber-criminals went really big more than quadrupling the amount of ransomware from the previous quarter in 2014. 2016 has been declared the Year of Ransomware by numerous security vendors and as we near the end of Q1 2016, there are no signs that cyber-criminals are going to slow down the attacks. Now-a-days, it’s hard to read the news without seeing a story about a business, schools, or hospitals being hit with ransomware. One of the more notable recent stories is Hollywood Presbyterian Medical Center that had to pay $17,000 in ransom in February 2016 to gain access to their computer systems. But just earlier this week, another three hospitals were hit in a new string of ransomware attacks that thankfully did not disrupt the operations of those hospitals, most likely due to a good backup strategy. But for organizations that don’t have good backups, once ransomware is activated even the FBI does not have much hope that the encryption can be cracked. While it has been recommended that the payment of ransomware should be illegal, that does not offer much help to businesses that are suffering downtime due to a successful attack. Even the FBI does not explicitly tell companies what they should do but rather tells them what options are available and lets the individual businesses decide what is the best way to proceed. So if a business is ransomed, what are the options? But before it gets to that point of doom & gloom for the business, there are certain things that business can do to minimize the risk and/or impact of ransomware. And it’s always better to be safe, than sorry! Use anti-virus & malware protection – and keep them up-to-date! If you’ve been the victim of a ransomware attack, Axiom Cyber Solutions is here to help. Call us at 1-800-519-5070 for expert advice and assistance.